Belarusian opposition leader Viktor Gonchar and his friend businessman Anatoly Krasovsky were kidnapped on September 16th 1999 In Minsk, Belarus. Traditionally the city of Eindhoven, Netherlands, commemorates those men, together with two other involuntary disappeared prominent Belarusians, Yuri Zakharenko and Dmitry Zavadsky. This year is no exception. This year the commemoration ceremony is taking place on Tuesday, September 16th, 4:00 p.m. at the Paradijslaan in Eindhoven. 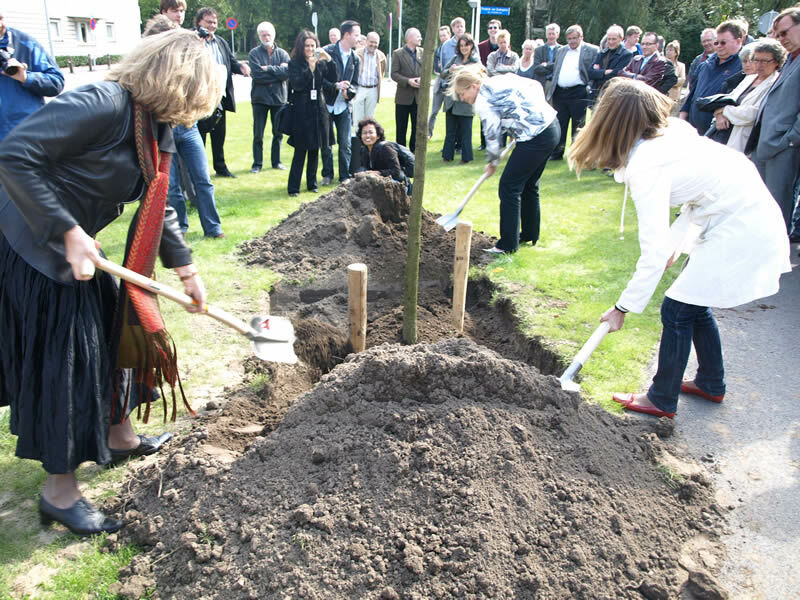 On September 16th 2008 four trees were planted at the Paradijslaan symbolizing the four disappeared Belarusians. The commemoration ceremony takes place at the site of this living memorial. Daughter of Anatoly Krasovsky Valeriya Krasovskaya will open the event. One of the key program points this year is participation of two hundred Eindhoven 15-year old students, who have prepared art objects inspired by the theme of disappearance and freedom. The art-projects will be presented during the ceremony. The event is open for attendance and is a joint initiative of FNV Bondgenoten, Amnesty International, We Remember and Mission to Minsk.